The Local Government Association (LGA) contacted the Open Standards Team and asked for our help to increase accessibility of election results. The LGA wants to promote an open and standardised format for displaying election data. Currently, the government publishes election data inconsistently and the LGA wants to increase openness as part of the Government Transformation Strategy. Some local authorities publish data in an open and accessible format and link to it prominently from their home page. But many authorities upload proprietary file formats, which can be hard to read unless you pay for specific software. We’ve even seen some authorities scan in and upload an image of a photocopied tally - that's poor for accessibility and for open data. 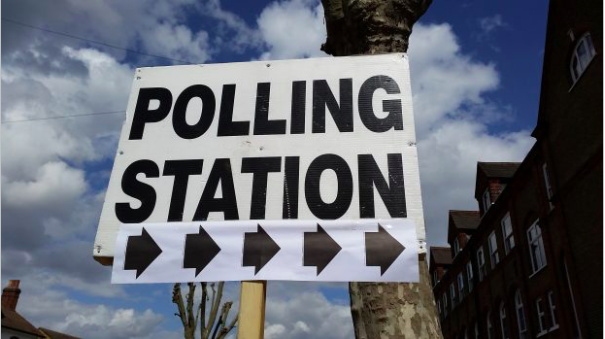 We’ve worked closely with the LGA, Electoral Commission, Association of Electoral Administrators, Democracy Club, and many others to evaluate a new schema for recording and distributing election results. We have recommended using the Election Result Data Standard, which the LGA will trial during 2018. The Open Standards team will collect your feedback about this standard and pass on the findings to the LGA. The LGA will then determine which election data the standard should apply to and how it should evolve. We’ll keep you posted on any developments. You can follow Terence on Twitter, sign up now for email updates from this blog or subscribe to the feed. The specification looks very good, this would be a massive step forward. Whilst I'm not suggesting that would be the case here, it is important that the data is represented in a machine readable format. Given this is tabular data, CSV is the obvious option however, it is also worth bearing in mind other formats like JSON and XML which are very commonly used for passing data between web services nowadays. Converting CSV to JSON isn't hard, it would juts be nice to have it there in the first place..
Hi Hugh. The spec says "We propose results data to be published openly under this initiative, which must be made freely available in a tabular comma separated variables (CSV) format. " I agree that providing data as PDF or images is a disaster for accessibility and for open data. As Mike has pointed out, once we can get valid CSVs published, it becomes a lot easier to transform them in JSON - or any other suitable format. Hugh I think it's intended to define a structure for CSV renderings of the data. This page: http://schemas.opendata.esd.org.uk/ElectionResults has more links including one to the LGA's CSV validator for this schema. Also I think "CSV on the web" provides s a standard way of defining mappings from CSV to JSON. But I'd say ideally we start with a class modeland work out from that to different formats. Anyway, getting compliance with this schema for election candidates and then results would be a massive first step and the LGA has the difficult job of keeping everyone on board. I’d love to see the standard in a format that works on my mobile - open and accessible to begin with, rather than locked up tightly in a PDF that renders poorly. And I’m leaving that comment here for the same reason! Hi Robin. A good point! The standard is available as an ODT at https://github.com/esd-org-uk/schemas/tree/master/ElectionResults - which should render better on your mobile.